For rebels, dreamers, and curious souls. Find your lack of quality pens disturbing? 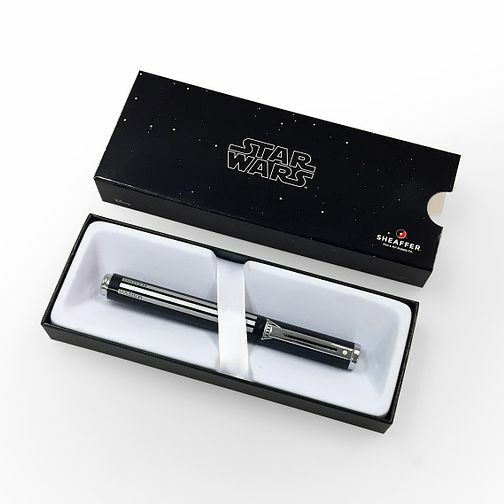 Arm yourself for rebellion with the smoothest pens in the galaxy, the Darth Vader Rollerball. Its clean cylindrical profile flows into a curved, comfortable grip. It's the perfect companion for work, play, or any creative undertaking. Comes with a Sheaffer limited one year warranty.